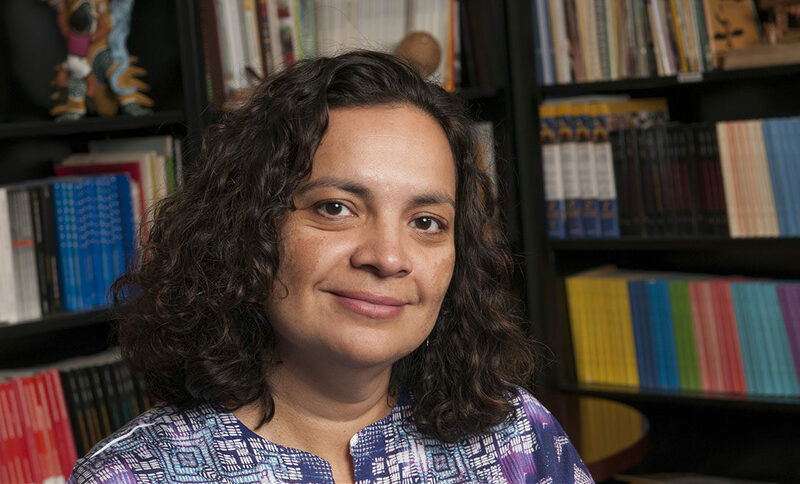 Amalia Pallares serves as the Associate Chancellor and Vice Provost for Diversity, while also holding her position as a Professor of Political Science and Latin American and Latino Studies. Dr. Pallares has been on the faculty for 22 years, since earning her PhD in Political Science from the University of Texas. She has engaged in academic program building, fundraising, and issues affecting underrepresented students and faculty. Previous administrative positions include Director of the Latin American and Latino Studies Program, Associate Dean of Liberal Arts and Sciences (2006-2008) and Interim Co-Director of the Institute for Research on Race and Public Policy (1998). A scholar of social movements and political identities in Latin America and the U.S., Dr. Pallares is the author or editor of several books and other publications, including Family Activism: Immigrant Struggles and the Politics of Noncitizenship (2014), Marcha: Latino Chicago and the Immigrant Rights Movement (2010) and From Peasant Struggles to Indian Resistance (2002). While serving as an advisor to the Chancellor and Provost on many campus issues and initiatives, Dr Pallares is responsible for overseeing and guiding various units in the Office of Diversity; facilitating campus-wide efforts to enhance diversity, inclusion and equity; and engaging the wider community around these issues.